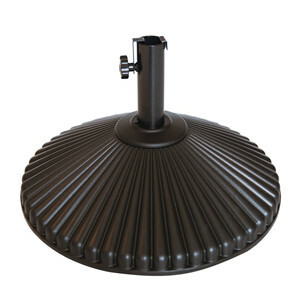 The Abba Patio Round Umbrella Base is a perfect choice for commercial use or for your busy backyard. 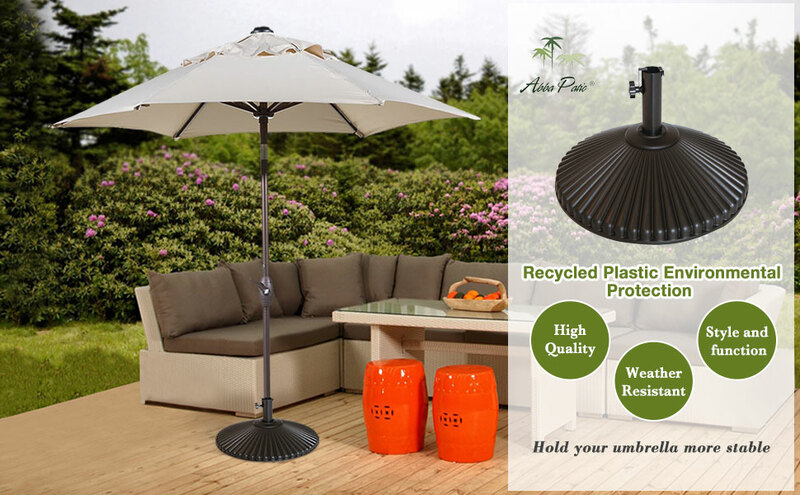 The base is made of recycled plastic with steel pole, which makes your umbrella more sturdy and stable. The umbrella base can be filled with water and will up to 50 pounds after it filled, provides additional weight required to improve umbrella stability in windy conditions. Nature color and generous design will adding more beauty to your garden. 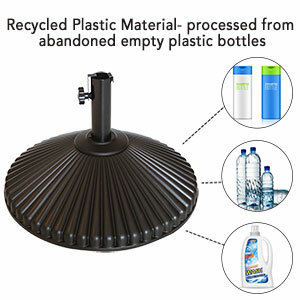 This patio umbrella base is made of plastic material, which is come and processed from abandoned empty bottles, plastic bottles, plastic garbage and so on. Making your life more environmental protection and healthy. The base will holds up to 50 lb when filled with water which can securely positioning your umbrella in place on windy days. Crafted form sturdy plastic material with a durable, rust-resistant, UV proof that will stand up for years to come. 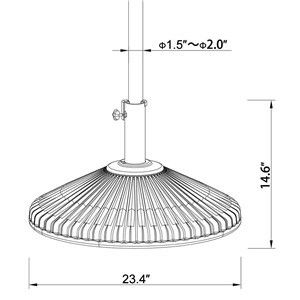 -Pole Diameter: 1.5" and 2"